How to write a text for a poster? 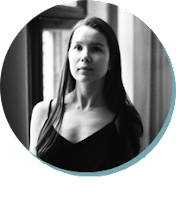 Let's talk about creating process. Yesterday I uploaded the new poster on posterlounge. How do I make it? The first step, of course, a sketch. But in my case, I just took my old pic with a fern leaf. I made a calligraphy, came up with a compsition. And thought, what a fern could mean? I researched proverbs, fairy tales, legends and quotes about a fern. And found the perfect Ancient Slavic legend saying that if you could find a blooming fern at the 2nd August night (Elijah the Prophet's day) under it there's a treasure. Than I thought about how can I link this story with motivation and self-help things. I started a brainstorm. I was looking for something between fern's features and tired men, who needs a bit of support. A swamp, stucking, no choice, no something to focus on, tired, and so on. I took a metaphor and changed it, took another one, and another one, and another one. [17.07, 22:25] Sonia Nezvetaeva: You could have no flowers. You could have no variety. You could think you are ordinary. But you are always gorgeous. The fern hides treasure inside. [17.07, 22:45] Sonia Nezvetaeva: You could have no flowers. You could have no variety. You could think you are ordinary. But you should always remember that you are gorgeous. You have your own unique power. The fern knows where the treasure is. [17.07, 23:06] Sonia Nezvetaeva: You stuck in the swamp. You feel you are ordinary. You have no variety. Nothing happens. Life has no flowers. But you know you are always gorgeous. Like a fern that always knows there treasure is. We argued, agreed, remade, rewrote this little piece of text. Flowers or blossoms? Is a Variety a good word here? What exactly did a fern do? What did I try to say? My husband wanted the text to be shorter. Anna said that it is too short. And so on and on and on. By the way I had limits of my composition. And in the end I wanted to give some energy to my potencial customer. [18.07, 00:06] Sonia Nezvetaeva: You stuck. You feel ordinary. Nothing happens. No flowers to be proud. But you have a secret world inside. Like a fern that covers its his treasure. Wait for your time. [18.07, 00:16] Sonia Nezvetaeva: You stuck in the swamp. Nothing happens. You feel you are ordinary. Life has no flowers. But you have a secret world inside. Like a fern that covers its treasure. Wait for your time. Next morning I take the first half of the 5th var and the second half of the 6th var. And joined it in the final. So It is not so perfect, but i hope It can be helpful to someone who looks for kind and positive words. 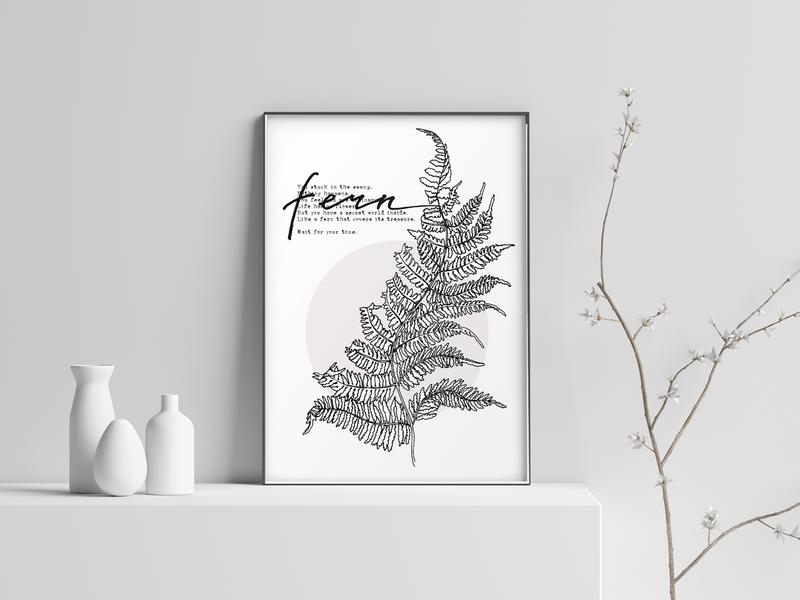 You can find the fern poster here https://www.posterlounge.com/artists/sonia-nezvetaeva/. Hope your summer is amazing! Hugs.